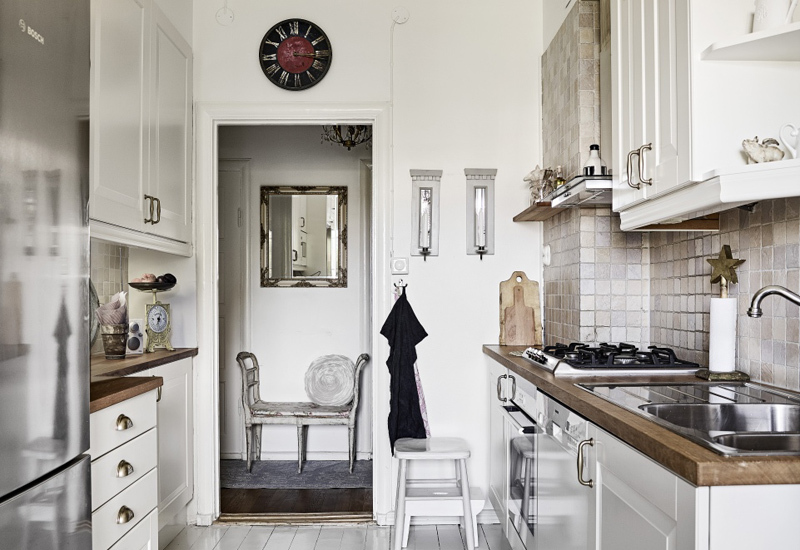 Let’s take the next flight this time to Gothenburg, where I found this lovely apartment for sale. 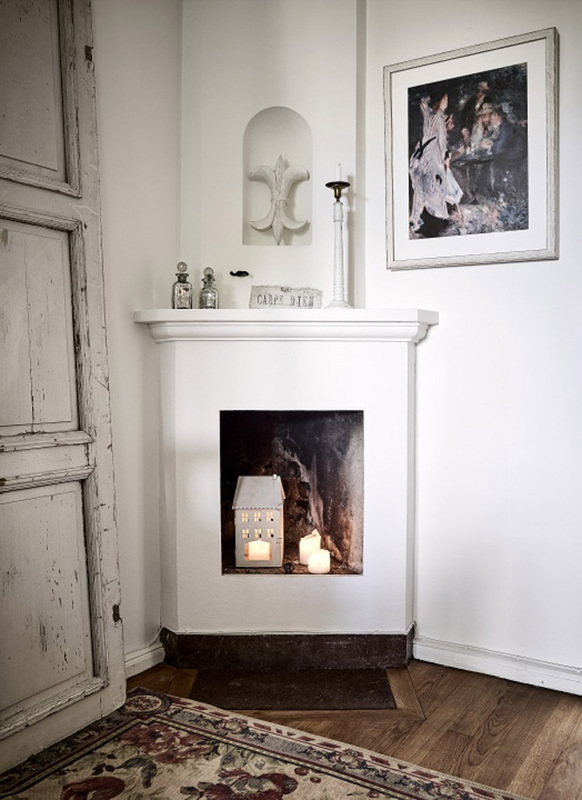 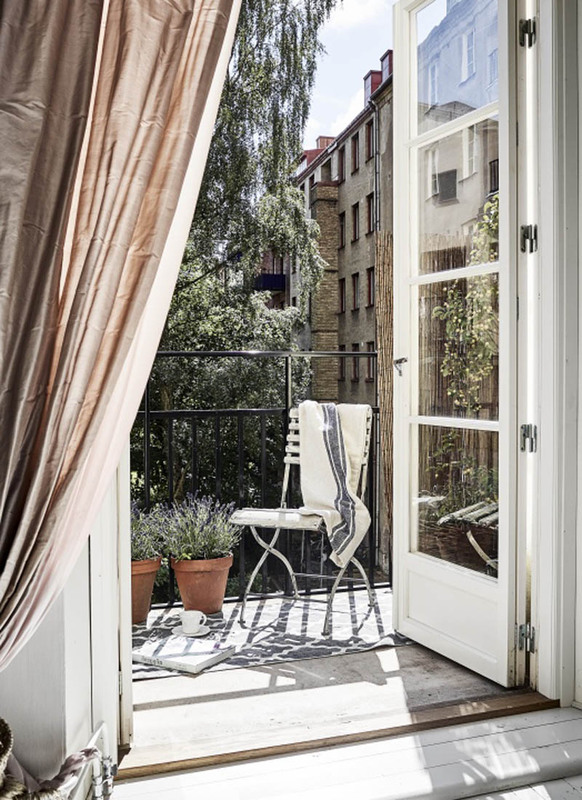 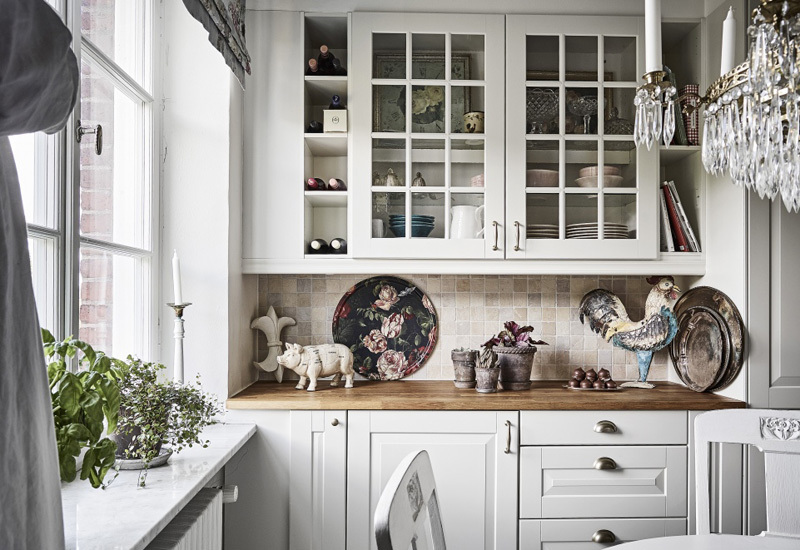 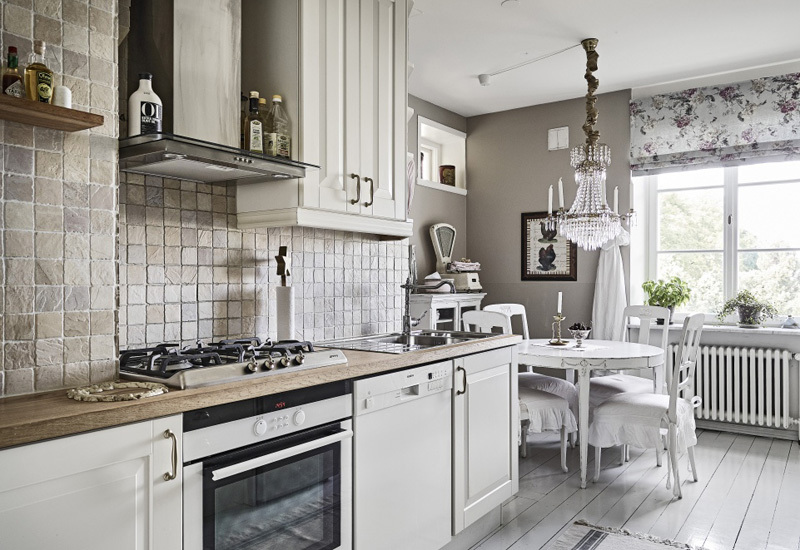 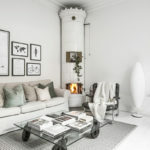 It’s a 74 sqm home decorated in Gustavian style with a hint of French shabby chic and pretty vintage market finds, in a hundred-year old building and I am particularly enthusiastic about it, being a great fan of Gustavian times in general. 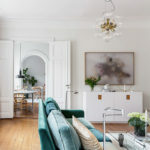 Because of the long winters and gloomy, dark nights, they used soft, light shades in interior decoration, mainly whites, greys and light blues. 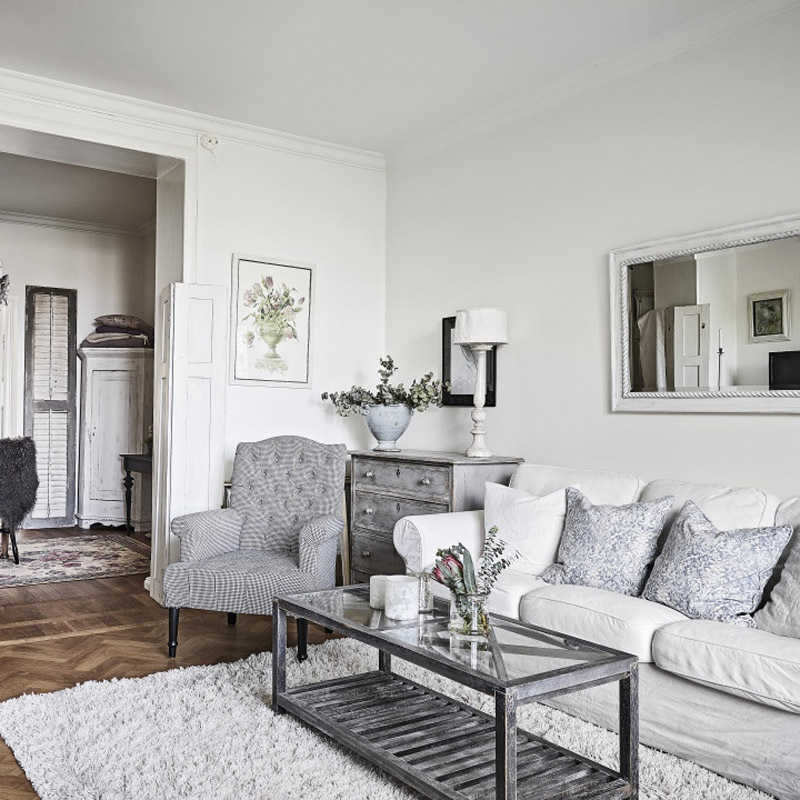 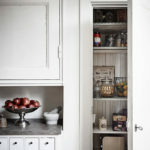 The furniture in such homes is typically rustic, country style, but manor houses and the homes of rich people and noble families have had this stunning Gustavian style all over the place, including the famous MORA clocks of the 1700s. 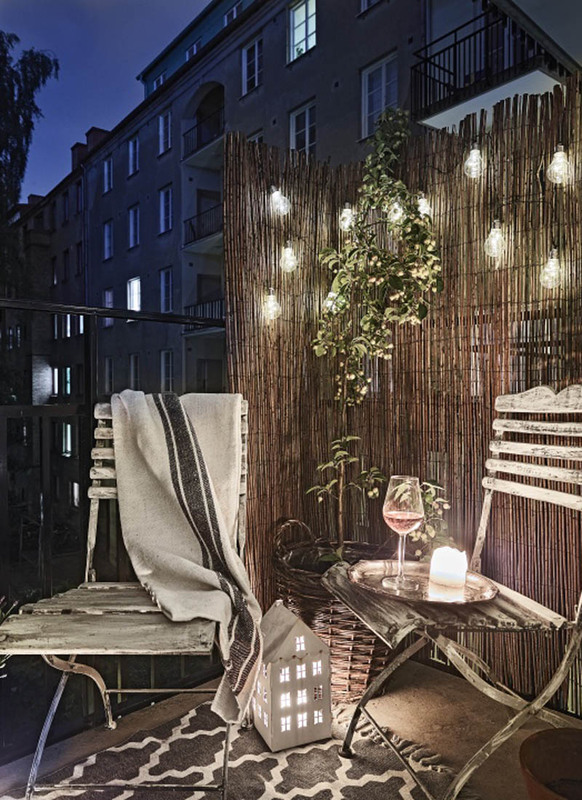 Don’t you think it’s a pretty home? 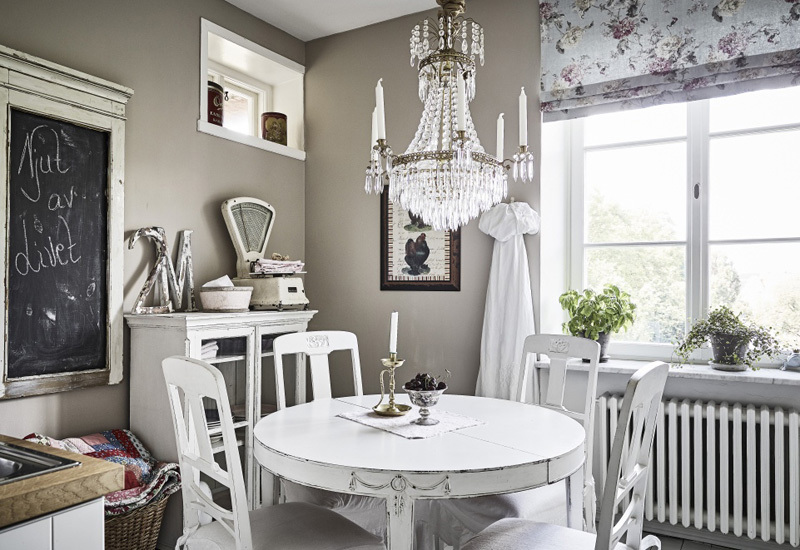 My personal favourites are the beautiful Gustavian round dinner table, the chandelier above the rectangular table, with the Mora clock in the corner, the beautiful old sofa in the bedroom and the pretty hat boxes in the dressing room. 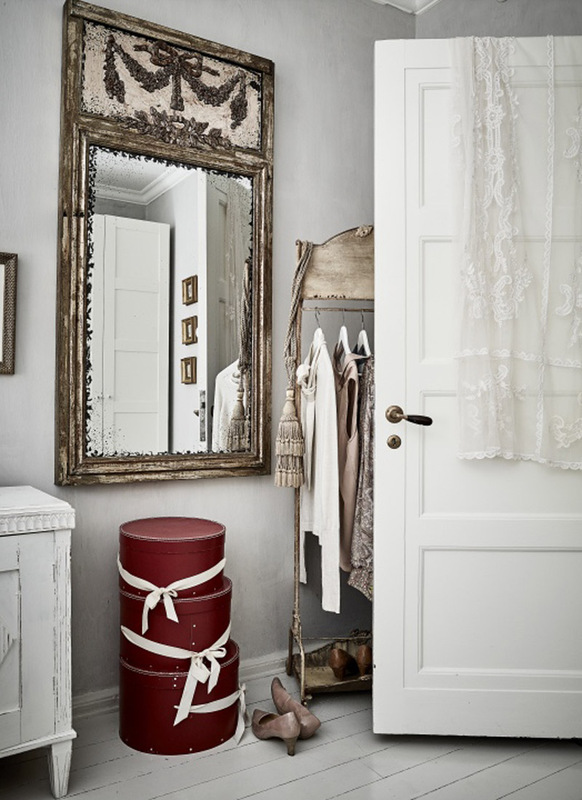 The antique mirror, the stool in the hallway, … oh, just about everything!